Hands up: I’m a bit of an audio obsessive. Not to the point at which I spend hundreds on cables (well I did do that once years ago), but I have spent quite a bit on hi-fi components over the years. Which can make reviewing soundbars like the Denon HEOS Bar a bit of a chore. No matter how good it is – and make no mistake, the HEOS is very good – there’s always a nagging itch that I’d prefer to just get it over with and go back to listening to my own system. I’m not the target market for soundbars like this, though. Soundbars such as the Denon HEOS Bar are for people who want a step up in quality from the speakers built into their TVs and, at this job, the Denon HEOS excels, adding in a whole load of convenient features for good measure. 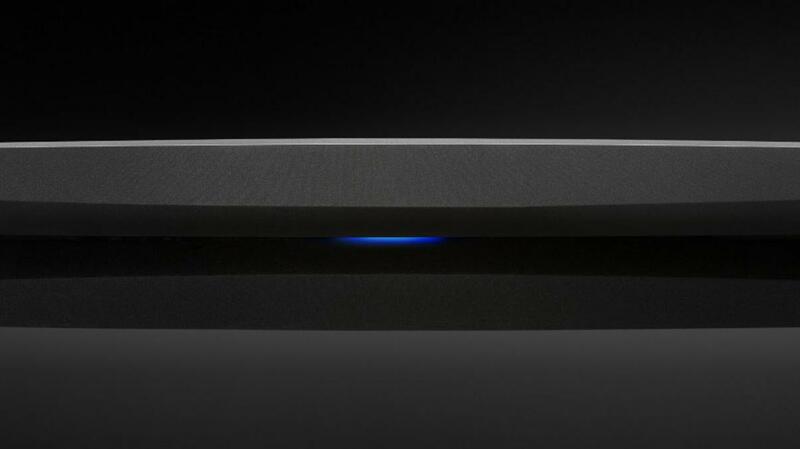 The Denon HEOS is a standalone soundbar designed to accompany TVs of 50 to 55in in size. It doesn’t come with a subwoofer or satellite surround-sound speakers in the box, but it can be hooked to all manner of audio sources. You can hook it up your TV and experience better-quality movie sound, of course, but it’s also possible to play music via streaming services, using your phone, laptop or another mobile device. I’ve reviewed the soundbar on its own here but suffice to say the Denon HEOS Bar doesn’t exist in a vacuum. It’s designed to fit into a multi-room audio system a bit like the Sonos Play Bar. The HEOS Bar can also be extended with a wireless subwoofer and rear speakers for a full 5.1 home-cinema setup. There’s plenty of competition in the soundbar space, but the price of the Denon and its multiroom features help us narrow down the competition to a small handful of hopefuls. Sonos is the obvious one, whose Play Bar fits neatly into the firm’s ecosystem of super-stylish connected speakers. Here, the Denon HEOS Bar look decent value. It’s £599, which is £100 cheaper than the Sonos Play Bar, and the accompanying Denon HEOS subwoofer (£459) can be bought for less than the £699 Sonos SUB as well. The problem Denon has is the strength of Samsung’s soundbar offerings at around this price and below it. Our current favourite is the Samsung HW-N650 (£385), which is sonically superb and can also fit into a (Samsung-themed) Wi-Fi-based multi-room system. On paper, then, it doesn’t look like the Denon HEOS Bar offers all that much in terms of value. Extract it from its box, however, and it does start to pay back that investment. It’s quite pretty as soundbars go, with its swooping, sculpted lines adding a little more visual appeal than Samsung and Sonos’ slab-sided rivals. There’s a single LED status bar in the centre of the bar, and volume and mute controls on the right-hand end, but otherwise it’s a fairly minimalist affair. What most impresses here, though, is the level of physical connectivity Denon has squeezed in. 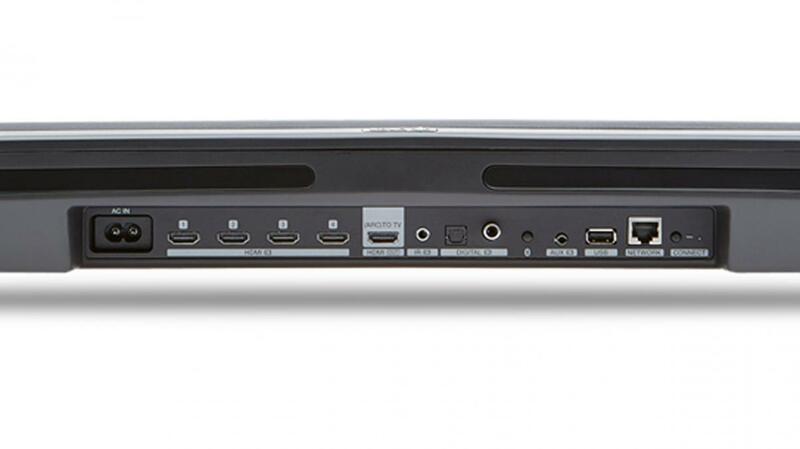 Nestled neatly in a cutout at the rear are not one, two or even three HDMI ports, but four HDMI inputs plus a single HDMI ARC (audio return channel) enabled HDMI output. That’s some seriously impressive connectivity, and two more at least than any other soundbar I’ve seen at this price. It’s even more impressive when you consider that every one of those ports is HDMI 2.0a enabled, so you can use the HEOS bar as a switcher for all your 4K HDR sources. Accompanying those 4K video inputs is an equally impressive array of auxiliary digital and analogue inputs. There’s both coaxial and optical S/PDIF, plus a 3.5mm analogue input, a USB Type-A port for connecting hard disks and thumbdrives, and an Ethernet port for wired network connectivity. The HEOS bar is designed to sit below your TV, either on a stand or secured to the wall using the included wall-mount kit. 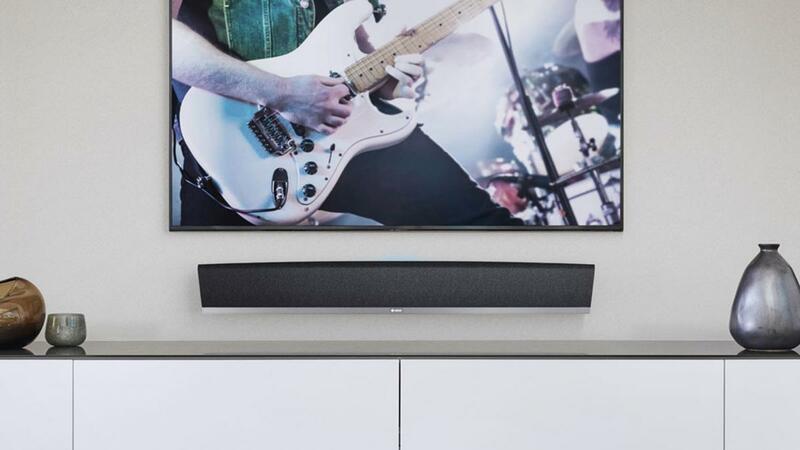 It isn’t particularly tall at 72mm high but, if it does obscure the infrared receiver on your TV, the soundbar has a repeater that receives the signal from your TV remote control and beams it out of a series of emitters fitted to the rear. Where physical connectivity impresses, however, wireless setup is bafflingly primitive. When you first set up the HEOS Bar, you need to hook it up to your wireless network so you can stream Spotify, Tidal and other services, but the way your Wi-Fi password is transmitted is bizarre. You have to plug in your phone via its 3.5mm audio jack and transfer the password by wire. If your phone happens not to have a 3.5mm audio jack, you’re not entirely stuck, but you will have to lug the soundbar over to your router and connect it via Ethernet to get it all set up. Fortunately, this is not something you’ll be doing all that frequently, so I’m going to cut it some slack here. Once you’ve achieved connectivity, the Denon is pretty easy to use. I wasn’t sent any of Denon’s other speakers so I can’t say much about the multiroom features, other than that you can use it to group two or more speakers together or play something different through each them. The app is easy to use and supports a good selection of music services. The usual suspects are all accounted for – Spotify, TuneIn and Tidal – but Denon also includes support for Amazon Music, Deezer, Napster, MOOD:Mix and SoundCloud as well as DLNA-compatible music servers on your home network. All of this is neatly and simply integrated. Tapping Spotify spits you out to the Spotify app, as always, but others are integrated into the app itself, allowing you to build and modify playlists with ease. I like the simple remote, too, although there’s no way to adjust the EQ or select any of the soundbar’s various modes from it. You have to use the smartphone app to access movie, music and night modes, tweak the treble and bass, or adjust the dialogue prominence via the centre channel. Perhaps the one glaring omission from the HEOS Bar’s feature set is that doesn’t support Dolby Atmos; but then it isn’t an Atmos bar, so Dolby TrueHD, DTS-HD Master, Dolby Digital and Dolby Digital Plus support is a decent showing here. It also purports to support Alexa and Google Assistant, but note that the HEOS Bar has no microphones of its own. In order to voice control the soundbar, you’ll need to add an Echo dot, Echo Input, Google Home Mini or other smart speaker. Without a dedicated subwoofer, even the best soundbar will struggle to reach the lowest notes and special-effects rumblings, but the Denon HEOS Bar makes a surprisingly good fist of delivering the full frequency range. Behind its swooping facade are six 2.5in mid-woofer drivers and three 1.5in tweeters, backed by digital amplifiers supporting three channels of audio output: left, right and centre, for dialogue. The speaker has a pair of rearwards-firing bass reflex ports at either end of the soundbar, and these point down if you choose to have the soundbar mounted on the wall so shouldn’t produce too much of an overbearing bass boom. All this goes together to produce audio of impressive authority. Despite the lack of a subwoofer, the Bar delivers a prodigious amount of bass, which rolls off in my listening room at around the 40Hz mark, and it’s relatively well-controlled bass, too. That centre channel delivers dialogue with a rare clarity and balance and there’s a useful facility to amp up dialogue if it’s too quiet or muffled. Compared with my own stereo hi-fi system, the sound profile is a touch reserved and the soundstage a little on the narrow side. The HEOS Bar also lacks extension at the very top end of the frequency spectrum, and it rolls off quite steeply above around the 10kHz mark, so there isn’t quite the level of crisp clarity you get with, say, the Samsung HW-N650. The flipside is that there isn’t much in the way of sibilance or harshness, but I did miss the atmospherics that having a little more top-end detail adds. For a standalone soundbar, though, the Denon HEOS Bar is mightily impressive. It produces a level of audio quality that, frankly, I wouldn’t have thought possible a few years ago from this type of product. 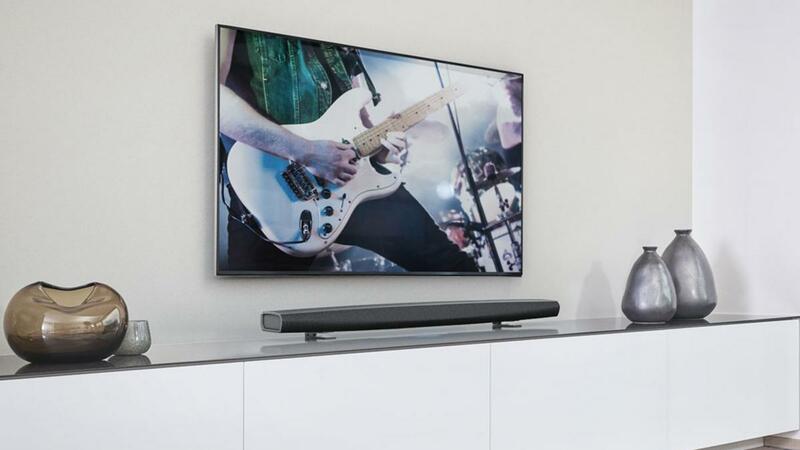 Soundbar design has progressed so much in recent times that, as long as you’re not hugely picky, it’s now perfectly possible to get away with just the one speaker connected to your TV. If that’s what you want, the Denon HEOS Bar makes a good choice. The fact that it also packs in multiroom facilities, can be extended to deliver proper surround sound and can be used as your main connected streaming hi-fi system only adds to its appeal. It’s cheaper than the equivalent Sonos product, too, making it a strong contender for your multiroom dollar, while at the same time including far more in the way of traditional connectivity, notably those five HDMI ports. The problem for the Deon HEOS Bar is that its main rival in the mid-priced soundbar market – the Samsung HW-N650 – can currently be picked up for a much cheaper £400. Not only is the HW-N650 brilliant, but it also comes with a subwoofer in the package. 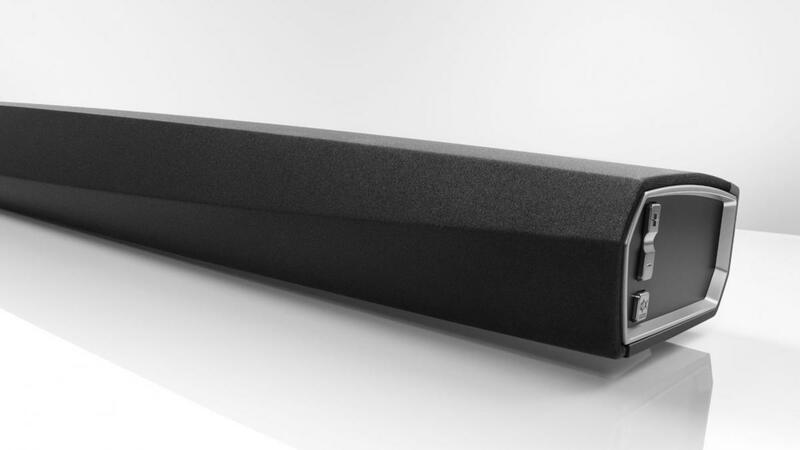 The Denon HEOS Bar is a great soundbar, no doubt, but it doesn’t deliver the very best value for money.